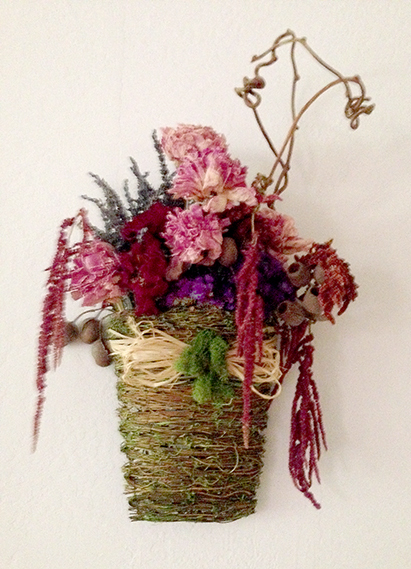 Dried flowers in a curly willow basket, wall hanging by Yukiko. Mix of peonies, lavender and amaranthus give colorful warmth to this original design. About 21″ tall, 13″ wide, available online.